Well, it’s down to the Facilities Manager, now a key figure of modern management structure, with whom Alsco enjoys a symbiotic relationship and provides them with all the necessary tools for their work. We don’t need to tell you about the importance of adhering to the lengthy list of regulations, nor the significance of having a healthy, clean and happy workplace environment for your staff to work in. The solutions that Alsco provides for the specific needs a Facilities Manager is a major influence achieving all of those things. The bigger the company is, the bigger is the responsibility of its Facilities Manager. They are in charge of health and safety and hygiene and, depending on the type of the company, sometimes even things like security of the company’s data or contract tendering. Regular maintenance and inspection naturally demands extensive planning, particularly in the case of large business premises. Sometimes you need more than one inspection on a monthly basis to make sure you are meeting all health and safety requirements. The main role of the inspection is to test efficiency of the systems, check the functioning of equipment and make sure all the necessary stocks are adequately filled. 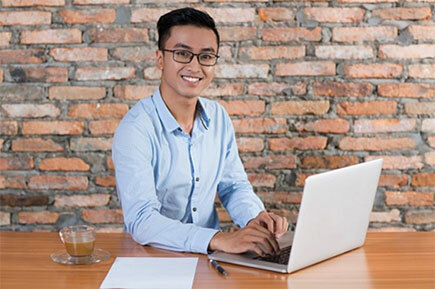 One of the duties of a Facility Manager which they tend to perform quite often even though it is not generally connected to them is organizing office space. This includes duties such as choosing the best location for workstations, filing cabinets, plants and water coolers. Organizing offices didn’t use to be something that required a designated person in the company. It was usually a one time job for which a professional designer was hired. However, modern understanding of workplace dictates that office layout needs to be constantly changed in order to keep the environment fresh and inspirational. This is where the Facility Manager comes in. Hygiene in the facilities can be a very demanding standard to uphold, and keeping the building clean is a difficult task requiring careful planning and execution. It’s a mistake to consider premises clean if they got vacuumed and wiped with a mop. True cleanliness means surfaces which are free of bacteria. The biggest part of cleaning is performed before or after employees arrive, however, some areas of the building, like washrooms, need to be revisited more frequently than once or twice per day. As it was already mentioned, Alsco provides a wide range of services which are designed to be in compliance with all health and safety regulations and standards, ensure better workplace hygiene levels and a generally healthier environment to work in. The Alsco range spans several different areas of expertise and is tailored for several different industries. From floor mats to linen services and from hygiene services to the supply of first aid kits and other medical emergency equipment, Singapore’s leading name has it covered. Because there a monthly rental fee, a business does not need to make an initial outlay for equipment and supplies. Often, it is the cost of new equipment – like electric hand dryers, soap dispensers and sanitary bins in the restrooms, or an Automated External Defibrillator (AED), eyewash stations and first aid kit, or even eco-safe washers for cleaning machine parts in the workshop or garage. There are so many health and safety regulations that keeping up with all of them at all times can be really difficult, especially because they tend to change quite often. It’s Alsco’s business to know about any changes to rules, and as a result any changes can be dealt with immediately, removing the headache involved in achieving full compliance at all times. When you have everything you need to comply with all the standards, you still need to make sure everything you have is always functional. Malfunctioning hand dryers, for example, can be annoying and even present a safety risk. 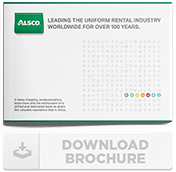 Alsco’s fully managed rental services have been designed in such way to eliminate this and many other similar problems. The equipment is regularly maintained and, if a need occurs, replaced in order to make sure the company is always in compliance with the current standards. The main challenge of any Facility Manager is to make sure state regulations concerning work safety and hygiene are fully adhered to. This is not always easy work, especially considering the fact that many Facility Managers also have to face with a number of other responsibilities their companies require them to take. Washroom Services – maintaining a healthy working environment where the risk of illness is low is highly important. With Alsco’s dedicated fresh & Clean managed hygiene rental programs, all of the necessary standards in hygiene, odour control, cleaning and hand-drying systems can be satisfied in confidence. Industrial Services – for any workshop or garage, ensuring that the parts and machinery are cleaned to a high standard is paramount – but you also have to remember the role that industrial solvents can play both in harming the environment and potentially staff well being. For more information, click on the links to the services above, or contact Alsco by filling out an online enquiry form or calling us at +6564550150.